The Zycom Easy Ride 230 Scooter has been designed for ease of use with its lightweight construction. The adjustable handle bar height makes this a perfect match for children aged 8 upwards as it will grow with them. 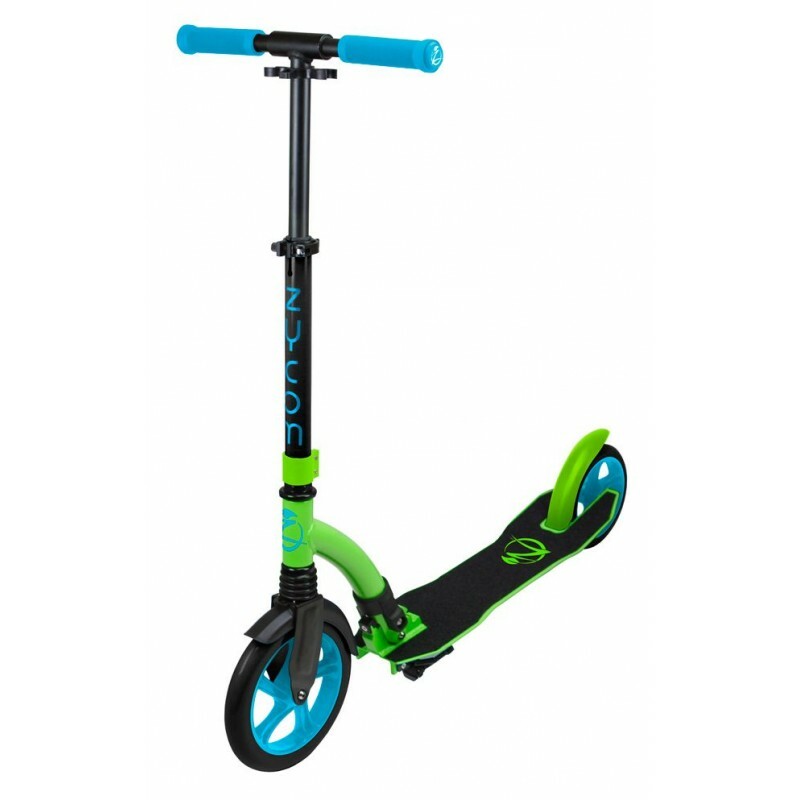 The Zycom Easy Ride 230 Scooter has a unique "lock and pull" folding mechanism and removable handlebars with comfort grips means the Easy Ride is easy to store or take with you on public transport. The 230mm & 180mm coast rim wheels provide a quick and smooth roll and a large rear flex fender brake pedal will also act as a mud guard. • Fully height adjustable to suit riders of all ages. • Extruded aluminum deck is lightweight and durable. • Sprung low profile deck to ease vibration from uneven surfaces and promote a better riding position. • Folds quickly and easily thanks to the 'Lock and Pull' folding mechanism which is great for getting on public transport. • Non-slip rubber handle bar grips for maximum comfort and removable handle bars for ease of storage. • Large rear brake fender that is simple and easy to operate also doubles as a rear mud guard. • 230mm Front & 180mm Rear Coast wheels are wider to provide better grip and stability when riding on uneven surfaces. • Wide deck with Zycom logo cut out grip tape will securely hold feet in place when in use.